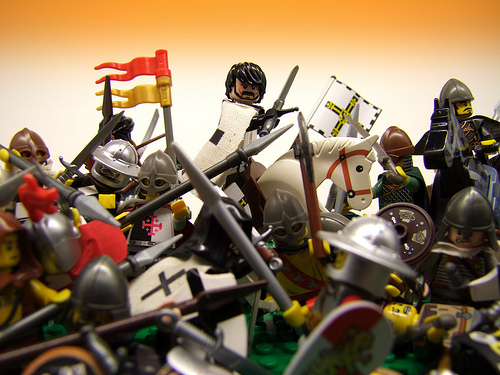 I am a big fan of minifig combat but it is seldom done correctly. So few people know how to properly pose a minifig. However, this scene, by Jamerco, is just about perfect. I love the chaotic feel of the battle and the sense that this is a moment frozen in time. Nice. But that Lego horse just doesn’t fit in, does it? I think it fits just fine.